Easy to use and effective attendant braking system . Half folding backrest and easily foldable frame. The chair is simple and easy to set up, and just as quick to fold down to a compact size, making it easy to transport. 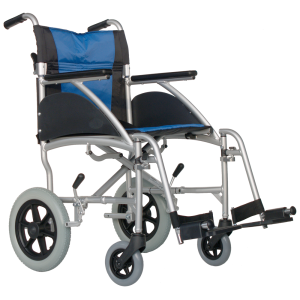 The Excel G-Lite Transit wheelchair is one of the best selling lightweight wheelchairs in our range with a sleak design and ease of transportability this light weight wheelchair offers everything you need to get out and about.